Federal Gold Medal match ammunition won't let you down when a trophy is on the line. 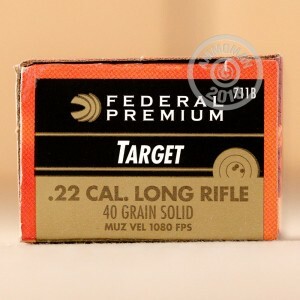 These .22 LR cartridges use a "standard velocity" load favored by competitive shooters due to its excellent accuracy potential. 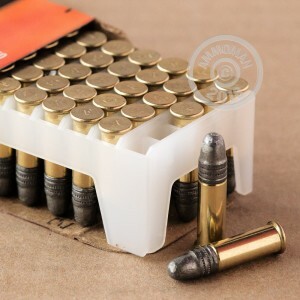 Each cartridge in this box of 50 fires a 40 grain solid bullet at a muzzle velocity of 1,080 feet per second. This ammo is inherently subsonic, and works well with suppressed firearms. AmmoMan.com is the place to be if you're tired of exorbitant shipping charges. If you place an order for $99 or more with us, you pay nothing for shipping--we'll take care of it.